Hi All - I've been lurking for a bit as I've researched our first RR. Tomorrow I'll be picking up a 2019 full size supercharged. It's Carpathian (with Shadow Pack) over Ivory interior with Shadow Walnut finishers. It has every option checked except wade sensing and Park Assist. My wife is downsizing from a long-serving Denali XL now that our kids are older. Excited to join the Land Rover family. Any experiences or tips/tricks on staying on top of Ivory interior? We've always owned dark interiors and while is looks very nice, I'm nervous about how it will wear. I have pics to share but am struggling to upload/share. I'm guessing there's a minimum post count. Welcome to the family! I can imagine how excited you are right now. You will love the L405. Did you get the long wheel base? If not, you might miss the room from the Denali XL. Be sure to load pics soon. Congrats! Definitely second W84it's comment. the long wheelbase is definitely worth the money when you are already going with the v8 supercharged version. I use to have an escalade as my previous family SUV/ daily driver great vehicles I really enjoyed it. it was probably one of the harder vehicles to let go of. but I'm sure you will enjoy the Range Rover I certainly am enjoying my supercharged LWB, loads of power rides VERY smooth and a crazy amount of room. there's just so much to appreciate on the range rovers.Congratulations on the new rover hope you do enjoy it! Thanks for the welcome! It’s a SWB. Wife wants a tighter turning radius after so many years in a full length Denali. I'm waiting on a Carpathian grey RR Sport V8 Supercharged, also with the shadow walnut finishers. Please post pics of yours when you get it! Too funny!! 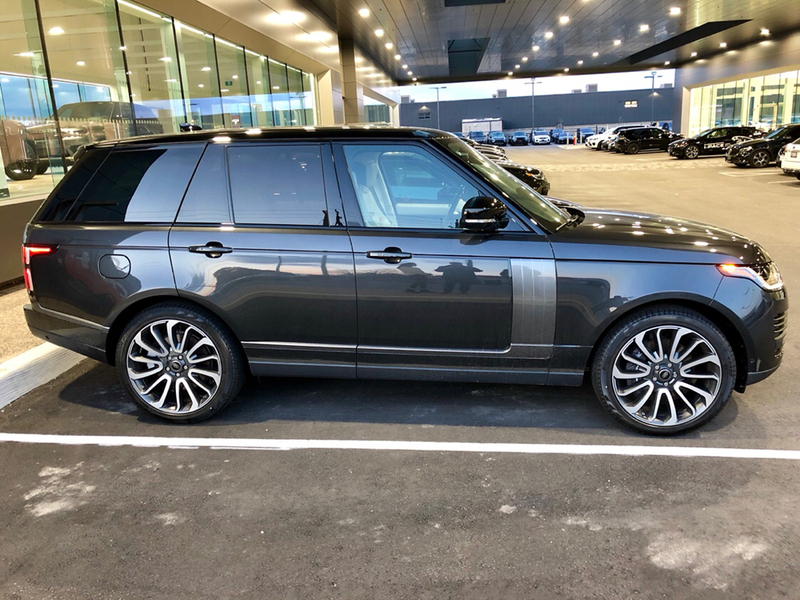 I bought our Rover for my wife back in 2016. She thought it was too fancy for her and instead chooses to drive a Yukon XL Denali. The Rover has become my daily driver since giving back my Passat last year. Congrats. You're gonna love it. Picked my L405 SWB up on Wednesday (Rosella Red with Ivory interior). I'm now making excuses to get into the vehicle at every opportunity! Ended up picking it up today. Drove it immediately to local installer who will clay bar and prep it. Then, full Xpel film forward of the A pillar and 22ple coating over the Rover. Will take five days. Can’t wait to get it back. Will share some pictures when done. Sounds like it's gonna look great. Can't wait to see pics! Also please take pics of the inside (I'm curious what the grey oak looks like too). Finally picking up my RR V8 SC tomorrow after 8 months!!! Newbie, picking up first RRS tomorrow! 07 RRS SC just arrived.... picking it up tomorrow.